During the past few months the WellSteps team has created the most comprehensive list of workplace wellness programs ever produced. This is the complete list of companies that offer comprehensive wellness solutions. Health coaching companies, biometric screening vendors, corporate fitness companies, nutrition companies, and other specialized wellness providers are NOT included on this list. A complete list of biometric screening companies can be found here and a complete list of health coaching companies can be found here. There is also a list of corporate fitness companies and wellness companies that provide unique services. The companies shown below offer comprehensive wellness solutions. This list of worksite wellness programs is huge. I have often wondered how many companies there are that provide wellness services and this is the best list we can find. The list includes some well-known programs and some not so well-known companies. Any list this big is going to include the best and the worst. I made no effort to rank or sort or carefully review these companies. They are listed in alphabetical order. It is simply a comprehensive list of the good, the bad, and the ugly. Anytime a market gets crowded with competitors, like the wellness market is right now, there will be some consolidation in the industry. Consolidation means that some companies will likely go bankrupt and disappear, while others will be purchased as part of acquisitions or mergers. Either way the wellness space is crowded and the consolidation has already begun. Every week WellSteps gets a phone call or email from at least one organization that is interested in acquiring or merging with WellSteps. 3 to 5 years from now the wellness market will probably look different than it does now. Consolidation happens in every industry, and it is happening right now in the wellness industry. It can be very difficult for companies to choose a wellness solution from such a large market. I wrote the comprehensive guide to choosing the right wellness company. I provide step-by-step guidelines on how to find the right wellness program for your worksite. How to use this list. This is the one place on the World Wide Web where you’ll find a free, comprehensive list of every wellness provider. Use the list to find worksite wellness companies in your area. If you have a wellness RFP or proposal, use this list to select companies from which you’d like to receive price quotes. Use the list anytime you are shopping for a new wellness solution. As far as health coaching programs go, Advanced Wellness Systems incorporates motivational design and behavioral science into their wellness programs in order to help companies and their employees become successful and more productive. With decades of wellness experience and scientific research, Advanced Wellness Systems has developed programs that can lower health costs, improve health status and deliver results that sustain themselves into the future. Most health coaching companies do not put so much analytical research and design into their wellness programs like Advanced Wellness Systems does. Companies go to them with the hopes of making their employees healthier and happier people which, in turn, increases productivity in their business. Learn more. A Midwest-based, family-owned business that believes in hard work and high standards. Alyfe supports employers, health plans, brokers, municipalities, schools and others who are responsible for improving the well being of a specific population. Whether you are a small, single-site organization or a large employer with a dispersed workforce, they can create programming that’s just the right size and shape for you. They have 20 years of experience to bring to the table and can get you results that will impact your organization’s bottom line and the wellbeing of your entire workforce. Click here to contact Alyfe for a free consultation. Based in Philadelphia, the B.Komplete Corporate Wellness Program brings affordable wellness solutions to employers and their employees. The rising costs of health insurance has been a struggle not only for the household budgets of employees, but for the employers that offer health insurance to them as well. Both parties are looking for a way to make reduce healthcare costs and keep everyone healthy. B. Komplete Corporate Wellness Program utilizes their experience in communication, food science, and nutrition in order to teach strategies for preventing chronic diseases. They believe if you can manage chronic diseases properly and prevent them from ruining the health of employees, then a company’s workforce will become more energetic, productive, and happy. As far as wellness programs at work go, B. Komplete is used quite often in the Philadelphia area. Learn more. beBetter Health brings wellness solutions into the workplace with worksite wellness programs for the employees of companies. Many employers around the country realize that keeping their employees healthy is essential in order to increase productivity and happiness in the work environment. beBetter’s offers corporate wellness activities to employees as well as personalized engagement programs that will cater to each employee’s specific health needs. Companies that introduce these worksite wellness programs into their organization have seen up to a 75% employee participation rate. The beBetter system is used by companies all around the United States and it has only gotten positive feedback from those who have tried it. Learn more. BSDI is an award-winning leader in health promotion technology located in Califon, NJ. With a focus on advanced web technologies and sophisticated data analysis, BSDI has proven attractive to progressive corporate, government, hospitals/health systems, brokers, wellness consultants, fitness professionals, commercial health, and wellness facilities. They take pride in 25 years of experience, producing multi-featured and flexible technologies that cultivate daily lifestyle habits to improve population health. Click here to request a demo. Central Wellness provides workplace wellness programs designed by a group of wellness, medical, and fitness experts in order to enhance the health of corporate employees. Not only that, Central Wellness wants to give employees and their employers the abilities, skills, and knowledge that they’ll need to stay healthy and maintain this health. Central Wellness has wellness programs at work which allow employees to become aware of their current health situation through the use of screenings and appraisals. Depending on the results, the experts of Central Wellness will recommend how these employees can improve their health. Learn more. Based in Chicago, CHC engages high-performance companies in a partnership to understand the health-and-work behavior equation. CHC Wellness provides proven strategies to manage controllable health risks and therefore reducing health care cost, improving employer productivity, and decreasing the demand for health care services. Their solutions are driven by the analytics of population risks and behaviors. To learn more about their proprietary solutions to common health risk factors in a workforce click here. With over 25 years of experience as a wellbeing company, Circle Wellness offers customized solutions for companies who currently either have health and wellness programs or are looking to construct new health and wellness programs for their employees. Circle Wellness offers a vast amount of flexibility to the costs and options associated with their wellness programs in the workplace. Once a company hires Circle Wellness, they will receive the best incentive programs for employees which teach wellness information to them and gives them tips on how they can improve their overall health. This, in turn, helps increase productivity within the company. CoreHealth is an all-in-one corporate wellness platform that gives you full control to innovate, create, and integrate. Schedule and track wellness programs for your clients while engaging employees through assessments, challenges, games, rewards, conversations and more—in one place. They provide the technology only and leave the health and wellness programs to you, making sure that your ideas and innovations are safe, secure, and protected. Visit the CoreHealth website. Companies looking for workplace we llness programs for their employees should turn to Corporate Fitness & Health for all their wellness solutions. Since 1985, Corporate Fitness & Health has created customized corporate wellness activities for clients all across the United States. Many of these clients include local governmental municipalities, corporate offices, and manufacturing companies. Some of their most recent clients have won the Wellness Council of America Workplace Award, a prestigious award that nationally recognizes companies with the very best worksite wellness programs for their employees. Corporate Fitness & Health is headquartered in Connecticut and they bring over 30 years of experience in wellness solutions to their clients and their employees. Learn more. This unique wellness company focuses on three main components: assessment, culture building, and getting results. CHP does not take a “one-size-fits-all” approach. Participation is guided, progress is tracked, and ROI is measured—for both the health of the employee and your company. They go beyond the virtual programs favored by other wellness providers, offering committed personal coaching at your worksite. To learn more click here. E4health has totally revolutionized wellness programs in the workplace by utilizing a healthcare management system that works fast and efficiently. This cost-effective healthcare management system is based on scientific research that’s been clinically validated and proven to help people become healthier. E4 Health has some of the best incentive programs for employees because they help alter human behavior so that employees can make healthier food choices. E4 Health gets its name based on their model that consists of the “Four E’s,” which are Evaluate, Engage, Empower, and Effect. First, an evaluation of the employees is done. Second, the employees are engaged by the expert nutritionists of E4 Health. Third, the employees become empowered with information that will allow them to make a successful lifestyle change. Finally, the effect of these changes is reflected in the saved medical expenses of the company and the increased productivity from the employees. Learn More. The Elevation Corporation was founded in 1994 with a mission to deliver customized workplace wellness programs to the employees of their clients. Their fitness and health management services have won numerous awards for their effectiveness and ability to help companies increase their productivity. The Elevation Corporation has created corporate wellness activities for companies of all different sizes. Their wellness programs at work are customized to cater to the company’s overall goals, objectives, and needs as they pertain to the health and wellness of their employees. Learn more. Eni began as a benefits company for employees that offered wellness solutions and assistance programs. Today, Eni offers multiple workplace wellness programs that are customized in order to cater to the needs of each individual company. Through the use of outsourcing and integrating these wellness programs at work, companies are now able to coordinate, consolidate, and manage all of the benefits of their employees. The employer’s return on investment will clearly be noticeable once they see their employees engaged in these programs and the overall productivity of the company has excelled. Most importantly, companies will save money and their employees will have a fast and flexible way to improve their health. Learn more. Extracon is a leader in smartphone-enabled wellness. They offer complete, turnkey wellness programs as well as customized online portals and challenges. An intelligent wellness program works with your employee’s doctor and the smartphone in the employee’s pocket to deliver better prevention and real lifestyle change. Their programs are powered by a platform and apps, designed for results and easy administration, including live analytics with real-time data. Click here to visit their website. Fortitude Health & Wellness Incorporated creates workplace wellness programs and wellness solutions which include health risk assessments and health prevention initiatives. Based in Dallas, Texas, Fortitude Health & Wellness understands that employers in the workplace are concerned about the rising healthcare costs and the fact that many of their employees are not taking care of their health the way they should be in order to reduce these costs. Fortitude Health & Wellness understands how health costs correlate with health risks. The idea of their worksite wellness programs will be to reduce these risks which, in turn, will reduce healthcare costs. 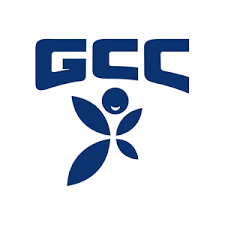 GCC works with businesses in 185 countries to get their people healthier, more engaged, and performing at their best. The Global Challenge’s comprehensive, four-pronged approach is based not only on science and proven results, but on the principle that any health program should be done for and with your employees, not to them. Each year, for 100 days, hundreds of thousands of employees around the world compete in teams of seven as the Global Challenge takes them on a journey that will improve both their physical and psychological health. Beyond the 100 days, the Global Challenge provides a 12-month platform to ensure that awareness, education, and motivation can continue throughout the year. Click here to learn more. Our business is sustainable behavior change. Many wellness programs look fun but lack the meaningful follow up to produce sustainable change. At HBD, we seek total population engagement with personal level relevance. By working to understand your unique workforce logistics, we look to integrate strategic health promotion touch points and on-the-job coaching into your existing workflow, resulting in more consistent engagement of the population and more sustainable change outcomes. With unique value propositions beyond basic health (e.g. injury reduction or executive high performance), coupled with industry high outcomes, we provide unique value at both the individual and group level. Learn more here. Health Designs strives to make a difference in people’s lives through integrating wellness programs at work. Health Designs’ clientele list is made up of companies who desperately need their employees educated on wellness solutions so they can lead healthier lives. This will make them more productive in the organization and it will allow the company to increase their profits and decrease the money they spend on their employees’ healthcare costs. Health Designs uses corporate wellness activities and worksite wellness programs which give employees face-to-face coaching on how to choose better foods and lead an overall healthier life. This kind of personal engagement at work will help ensure that their personal behaviors will change over time. HealthCheck360° creates corporate wellness activities that are not just to be performed once per year. HealthCheck360° inspires all participants to undergo a lifestyle change by connecting with them each day to ensure they are taking their workplace wellness programs seriously. The worksite wellness programs designed by HealthCheck360° are unique toward the culture and needs of the organization. That way, there will be more of an incentive for employees to stick to the program and not give up on it. Plus, Reasonable Alternative Standard management is provided to employees so that the administrative burden is taken out of their workplace wellness programs. HealthFitness is a wellbeing company that deals in four important areas of workplace wellness: health management, corporate fitness, occupational health, and health advocacy. Their health and wellness programs are designed to study employee health from a personal point of view by recognizing their environmental, financial, emotional, social, and physical wellbeing. By understanding all these dimensions, the very best incentive programs for employees can be introduced into the work environment so they can change their behaviors and become healthier and more productive workers. Healthyroads produces some of the top workplace wellness programs in the nation. In fact, over 3.5 million people are currently using their health program. This includes hundreds of companies that want to integrate these wellness programs at work so their employees can take advantage of them. As a client of Healthyroads, you will be in constant contact with wellness solutions experts which can assist your employees with achieving their long-term health objectives and goals. The main objective of Healthyroads is to help individual employees change their behavior so they can empower themselves to make healthier decisions that will enable them to be happier and live longer. These simple and effective worksite wellness programs will also reduce the healthcare costs of employers as well. Infinite Wellness Solutions network of health and wellness coaches is a unique approach and sets it apart from its competitors. Once they know more about its client, it pairs them with a health and wellness coach to fit their needs. As independent wellness consultants, they have access to more than 200 different wellness companies and can customize wellness programs for virtually any size of organization. They are also able to provide virtually any type of wellness program you can imagine. Click here to learn more. Interra Health will design and deliver comprehensive workplace wellness programs that satisfy the needs of those who participate in them. It doesn’t matter if you’re an individual, or a large or small business with lots of employees who need to improve their health. Interra Health’s wellness solutions are easy to follow and great for anyone under enormous time constraints. In the workplace, some of their corporate wellness activities include consulting, health coaching, incentives, health risk assessments, and biometric screenings. Data is then collected about each employee and then a strategy for better health is then generated for them. Kersh Health is a wellness solutions company which firmly believes that promoting healthy behaviors among employees will reduce healthcare costs and increase productivity within a company. Furthermore, the employees will get the kind of positive job satisfaction that they didn’t have before. Kersh Health has designed a unique style of corporate wellness activities and workplace wellness programs that are based on various biometric testing to health assessment results. This ensures that employees get customized wellness solutions which can specifically target the challenges they’re facing in their current work environment. Learn more. Kinema Fitness implements wellness solutions and corporate wellness activities into the work environment which attempt to influence the lifestyle behavior of its employees. Their wellness programs at work introduce wellness and fitness into the lives of employees, which is usually a new experience for many of them. But once they start actively participating in these worksite wellness programs, they never want to stop. Based in downtown Los Angeles, Kinema Fitness conducts health coaching sessions, wellness campaigns, wellness workshops, biometric screenings, and wellness ambassador programs. Clients who hire Kinema Fitness for their employees will notice a positive change in the productivity and happiness level within their organization. LifeSpeak is the digital well-being platform that helps best-in-class employers keep their employees present, healthy and thriving. Employees can easily access the support they need to overcome life’s unexpected hurdles, keeping their minds and bodies productive at work. LifeSpeak understands that well-being extends beyond individual employees, so we’ve made our 100% confidential platform accessible by family members as well. Our online platform is packed with over 1,500 videos, podcasts, “Ask the Expert” chat sessions and tip sheets, all created and delivered by leading North American experts (available 24/7/365 from any computer or mobile device) that cover topics from mental health and financial well-being to marital relationships and eldercare. Limeade inspires change by addressing health, well-being, and performance all in one platform. They drive organizational change by addressing core business goals and individual employee needs. They tailor the platform so your program reflects your strategy with targeted rewards, communications and challenges. This gives you one place for all of your health, engagement, and culture-building initiatives. How it works: let employees set their vision, foster awareness, inspire action, and see results. Read more here. No other wellness center or program can compare to the Mayo Clinic Healthy Living Program. With clinical research from Mayo Clinic experts, this comprehensive wellness program enhances mental, physical, emotional, and spiritual well-being. They offer ongoing research, personalized experience, expert guidance, and certified wellness coaches. The Healthy Living Program is located in the Dan Abraham Healthy Living Center on the Mayo Clinic campus in Rochester, Minnesota. This beautiful seven-story facility is dedicated to making a healthier world—starting with you. It was designed to offer you a unique combination of luxury and wellness. To learn more about what they have to offer click here. MeYou Health is a small but mighty software company that’s been honing its wellness platform and building social, engaging health apps out of its Boston office since 2009. They offer a fully configurable, turn-key program for health plans and employers of any size. The platform includes a health risk assessment as well as clinically validated health interventions for web and mobile, each with their own thriving, supportive communities. With more than 40 programs across areas like smoking cessation, prenatal care, stress management, physical activity, and more, there’s something for every employee no matter where they are in their well-being journey. Mile High Fitness and Wellness, a Minority Owned and Women Owned Small Business is a full service mobile health and fitness company focused on offering onsite fitness classes, personal training services, nutrition education and wellness challenges to individuals and corporations. Established in 2007, the company has an established expert team of personal trainers, fitness instructors and health educators to help all levels of individuals and organizations in the US. OnLife Health helps individuals and corporate employees find wellness solutions for their wellness challenges. OnLife Health has a team of experts who customize corporate wellness activities and wellness programs at work so that employees can become physically, mentally, and financially better off. Some of their workplaces wellness programs feature a unique AlwaysOn wellness app, OnLife Sync device integration, health coaching, health assessment, financial assessment, wellness incentives, wellness challenges, biometric screenings and more. All information pertaining to the health and progress of the employees is tracked and accessible to employers whenever they want to see it. Based in Allentown, Pennsylvania, Populytics is a health consulting company which provides wellness solutions based on their analytics capabilities and advanced informatics. Once information about the health of individuals is collected, workplace wellness programs can then be created to help employees become healthier and more productive in the organization. Populytics is both a healthcare management company and a healthcare analytics company. By integrating the two concepts together, their worksite wellness programs are able to target the health issues facing employees more than most other wellness solutions companies in this industry. Based in Coventry, Rhode Island, Preventure is a wellness solutions company that wants to revolutionize the wellbeing of employees in the workplace. For more than 25 years, Preventure has created wellness programs at work which have made a different in the lives of 10 million people throughout organizations of all sizes. Their corporate wellness activities have helped connect employee engagement to the performance of the company. Preventure is constantly updating their technological software and services to help employees become more engaged in their wellness and to help bring changes to their long-term behavior. Founded in 2001, Provant partners with organizations of all sizes across North America, with a growing global presence. Their customizable programs are delivered to millions of people and include assessment services (screening services, health risk assessments, flu vaccinations), inspirational services (coaching, lifestyle and condition programs), and reward and reporting services (participation-based and outcome-based programs). Innovation, customization, and a comprehensive, quality approach to managing health risks are at the cornerstone of everything that they do. The results of these programs: exceptional engagement, improved health, productive employees, lower healthcare costs, and thriving company performances. Read more on their website. RivalHealth is a fitness-based wellness platform that engages employees with daily exercise and nutrition activities and sustains engagement through social interaction, challenges, incentives, and outcomes. How do they do it? They assess, engage, coach, measure, reward, and sustain. It helps that their highly accessible platform engages employees wherever they are. Read more about RivalHealth here. Salus is a wellness solutions company that was named after the Roman goddess of health, prosperity, and welfare. She was a goddess that managed the wellbeing of people and their state. As for the Salus company, it helps manage the wellbeing of employees and the company they work for. Salus does this by creating corporate wellness activities and workplace wellness programs that are specifically designed for the needs of your employees. Since effective wellness solutions save employers an average of 26% on healthcare costs, an investment into wellness programs at work is essential for saving money and enhancing the happiness and productivity of your workers. Sensia is a medical software vendor and independent medical provider which specializes in providing wellness and healthcare solutions to corporations and their employees. Sensia will analyze the current health and working conditions of employees and then create effective strategies that can improve their wellbeing. Sensia uses all avenues of wellness solutions to help employees, which includes software technology to keep employees up to date on their current state of health. There are also face-to-face interactions between the experts of Sensia and the employees who are trying to become healthier. Founded in 1998, SimplyWell is a wellness solutions company started by a team of medical professionals who are based in Omaha, Nebraska. They all had the same goal of improving the wellness of employees in the workplace in order to reduce their employer’s healthcare costs and to increase workplace productivity. SimpleWell uses a team of wellness solutions experts to help companies and their employees meet their specific health and wellness goals. By implementing wellness programs at work, employees are now able to transform themselves into healthier and happier workers. With the widest variety of energetic activities, Sonic Boom is the first and only wellness engagement company committed to improving members’ daily health habits. Boasting the most high-tech (and proprietary!) activity-tracking software on the planet, the program is fun and socially contagious—driving massive, sustained participation among even the most hard-to-reach employee populations. Disrupting the “traditional” concept of wellness since 2007, they’re the innovative market leader in challenge variety, customization, incentive-management flexibility, and Total Client Happiness™—all in support of the mission to drive small yet meaningful health-habit improvements for life. See more on SonicBoom here. StayWell is a health engagement company that helps clients engage and educate people to improve health and business results. They bring decades of experience working across the health care industry to design solutions that address the client’s evolving needs. They fuse expertise in health engagement and the science of behavior change with an integrated portfolio of solutions and robust content assets. The customizable programs are proven to effectively engage people to make positive health care decisions—across even the most challenging populations. They offer you diminished health costs, accelerated group participation, increased patient acquisition, better health outcomes and unprecedented program satisfaction. Get to know Staywell by clicking here. Based in Atlanta, GA, Strategic Health Services (SHS) provides a comprehensive wellness solution with an unparalleled employer “reseller” outreach program. In addition to a robust portal, health coaching, data and claims analytics, and extensive marketing support, we now offer: a Physical Strength Risk Assessment™ to address high musculoskeletal claims costs and the impact of obesity on muscular strength; evidence based and results-oriented “prevention” health management programs, including: weight loss, tobacco cessation, prediabetes, prehypertension, injury and disease prevention, cholesterol, and stress management; and sedentary disruption challenges on our portal – to get people up and moving throughout the day. Learn more. TriWellness partners with consultants, brokers, and employers from around the world in order to provide them with health management solutions for their organization. TriWellness will study the health risk of employees and then come up with workplace wellness programs that can reduce these risks. Some of their wellness solutions incorporate interactive technological tools which measure the progress that employees are making in their health year after year. The end result will be employees who are more productive in the workplace because they are less stressed. The employers are happy because of this and also because they have to pay fewer healthcare expenses. Learn more. US Corporate Wellness offers services tailored to your needs and goals. Whether you have thousands of employees or just a handful, they have the solutions you need to be successful. US Corporate Wellness is one of only 9 select firms to earn full accreditation through URAC as a Comprehensive Wellness Provider. This provides you with a higher level of confidence that your personal recommendation will stand tall. Learn more about US Corporate Wellness. Virgin Pulse’s market-leading technology solutions empower clients to achieve game-changing business outcomes like reduce healthcare costs, increase workforce productivity, build a great company culture, and integrate and optimize benefits and HR investments. Virgin Pulse builds loyalty and engagement through employee-centered wellness platforms and tools that start with healthy behavior changes and expand to total quality of life. Everybody benefits, including employees’ family and friends because Virgin Pulse lets members invite up to three family members and friends—for free! Explore their website for more information. Better health, lower costs? That’s what Vitality delivers. Does your company want healthier, happier employees and a better company health plan bottom line? The Vitality wellness program is built to continuously inspire, motivate, and reward employees to live their healthiest life. 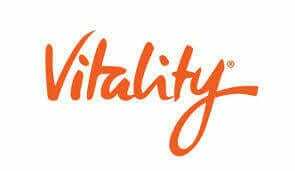 Vitality members come to know about their current health status, then get going with activities that improve health and lifestyle behaviors and unlock a series of positive rewards. Learn more about the Vitality approach to positive, measurable and lasting change here. Vielife is a wellness solutions provider for corporations who want to make their employees healthier and more productive. For more than 20 years, they have created wellness programs at work which have given employees and corporations the knowledge and skills they need to become healthier. Through corporate wellness activities, employees begin to realize that simple lifestyle changes will ultimately help them become healthier and happier in the long-term. Once they experience how easy it is to conduct these lifestyle changes, they won’t have any problems sticking with it. Vielife takes pride in helping people change their lives which help companies be more productive because of it. Viverae is a wellness solutions technology company for the workplace. Based in Dallas, Texas, Viverae’s main goal is to reduce the health risks that employees generally face in the workplace due to the culture and conditions of their work environment. Sometimes employees just neglect their health due to poor lifestyle and behavioral choices. Viverae introduces worksite wellness programs which change the culture of the work environment to one that is healthy and encourages good health choices of all its employees. This will help make the company more productive and thriving in their own industry as well. WellAdvantage is a corporate wellness solutions company that has won numerous awards for its workplace wellness programs and their positive effect on employees. WellAdvantage creates worksite wellness programs which involve corporate wellness activities that revolve around fitness, nutrition, wellness, and stress reduction. WellAdvantage has even been certified by the WBENC, the Women’s Business Enterprise National Council. Based in Sykesville, MD, WellAdvantage is the industry leader in wellness solutions throughout America and are even accredited by the American Heart Association for their ability to help people lead physically healthier lifestyles. WellBe is one of the most innovative and effective providers of employee health and wellbeing solutions. They leverage expert and passionate staff with best in the business strategic partners. Wellbe shows tangible and ultimately profitable results as they support and enable businesses, communities, and individuals to be healthy, energetic, and productive. Read more on their website. Well Nation® offers corporate wellness programs that help people develop and sustain healthy behavior and well-being for life. They are dedicated to helping businesses create healthier and happier workplaces while improving employee lives, increasing productivity, and combating rising healthcare costs. The Well Nation® platform is built on over a decade of successful program design and execution. The team is committed to providing value for our clients, ensuring integrity and transparency, and continual innovation. Get a better look at WellNation here. Wellness360 is based in Lewes, Delaware. They are a wellbeing company that creates custom health and wellness programs that are branded for the company they’re making them for. The Wellness360 wellness programs in the workplace are based on the most up to date research that has to do with behavior change. Some workplace wellness programs examples include biometric screening, health risk assessment, social hub, health trackers, health coaching, fitness apps, and rewards for success. With some of the best incentive programs for employees around, you can be sure that your employees will have a high rate of success when it comes to changing their lifestyle for the better. Wellness Collective was founded in 2007 with the goal of redefining wellness solutions within the wellness industry. Based in Ohio, Wellness Collective is an EDGE-certified business that contains a team of wellness professionals who are experienced in nutrition and exercise. The goal of Wellness Collective is to create workplace wellness programs which help employees make healthier lifestyle choices in their lives in order to become more productive workers and live longer lives. They also focus on stress management, work-life balancing, self-care, creating a positive mindset, and so much more. Wellness Concepts partners with companies to provide wellness programs at work for their employees. Wellness Concepts has numerous certified health professionals within their network throughout the United States. Through this network, they are able to develop workplace wellness programs that target multiple areas of health for employees. They utilize the health services of registered nurses, certified yoga instructors, and registered dietitians in order to pull this off. With all of these corporate wellness activities being implemented into the lives of employees, they are able to change their overall behavior so that they make healthier choices for themselves in the future. Wellness Management Systems provides corporate wellness activities and solutions to companies who want to enhance the health of their workforce. The great part is that their workplace wellness programs are available securely over the internet, which means companies and employees from anywhere in the world can take advantage of them. These interactive wellness programs at work are available for small companies, large companies, agencies, health coaches, hospitals, healthcare representatives, healthcare providers, and more. Wellness Management Systems has an online platform for both a wellness portal and a coaching portal. This helps anyone struggling to get more motivated and take the proper steps toward bettering their lives. Wellness Programs with Value (WPV) is a health promotion, disease prevention and wellness organization that provides a variety wellness services to create and sustain a healthier community in the Greater Rochester, NY area and across all of New York State. WPV is a recognized leader in preventative health and wellness promotion. Our company’s focus includes worksite wellness and community engagement that reaches beyond the workplace, delivering health education and wellness intervention both at home and in the community. Our nurse-based delivery of services, from nurses with both clinical and academic backgrounds, allows us to focus on the whole you, providing you with “Wellness Solutions from Nurses who Care”. Learn more. Wellness Solutions and Pinnacle Training Systems specializes in three areas of wellness solutions: individual wellness, corporate wellness, and first responder wellness. Our staff of health and nutrition experts provides a perfect blend of fitness, business skills, and health promotion into all the corporate worksite wellness programs they create for their clients. The first responder wellness service is something unique that a lot of other wellness solutions companies don’t have. Wellness Solutions has created special programs that focus on reducing the health risks that firefighters and police officers face on the job. That way, they can reduce their chances of having something catastrophic happen to them as a result of their health while they’re on the job. Wellness Workdays was founded in 2004 by Debra Wein, who has more than 20 years of experience developing wellness solutions and working in the wellness industry. The purpose of Wellness Workdays is to partner up with other companies who want to help their employees make better lifestyle decisions. Wellness Workdays creates workplace wellness programs that consist of strategic resources, tools, and direction for employees looking to change their health for the better. Strategies pertaining to exercise and nutrition are greatly emphasized in many of the corporate wellness activities that are offered. Wellness2000 has provided worksite wellness programs and assisted employees with wellness solutions since 1978. All the workplace wellness programs that Wellness2000 creates are based on the principle that healthy employees are more productive and happier in the long run. If an employer can get employees like this, then it will create a more positive business environment where productivity is high and absenteeism is low. Wellness2000 is based in Medford, Oregon and their clientele list spreads all across the United States. WellRight is a complete wellness program platform that powers tailored, positive habit-forming workplace wellness programs. WellRight offers all the essentials: health risk assessment, group challenges, personal challenges, custom activities, biometrics, health coaching, university, rewards engine, and reporting. How each of these are incorporated into your wellness program is entirely your choice, although their team will coach you on best practices towards a successful outcome for your organization. Explore more about WellRight. Wellworks is one of the top wellness solutions companies in the nation that provides corporate wellness activities to employees. Based in Pennsylvania, Wellworks provides workplace wellness programs to all kinds of organizations including small companies, large companies, resellers, government agencies, and individual people from around the world. Mainly, Wellworks focuses on implementing wellness programs at work for their clients so that employees can develop a healthy body and mind. This, in return, allows the employees to excel at their jobs and make their company more productive at the same time. WellSteps corporate wellness solutions are guaranteed to reduce employee health care costs and improve employee health. As the winner of the 2016 Koop Award, the WellSteps wellness platform has been identified as the nation’s most effective corporate wellness program. With so many wellness vendors to choose from, why not demo the one that has been identified as the nation’s best. Schedule a WellSteps demo right now.